I love getting Christmas cards from our friends and family; especially the ones with cute little kiddos on them! 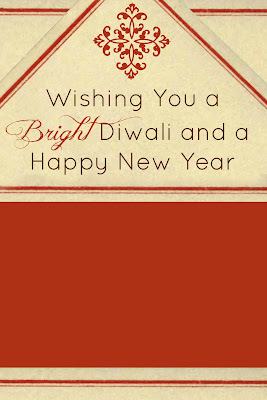 But I have to admit, I feel a pang of guilt opening each one, knowing that I didn't send a card out. 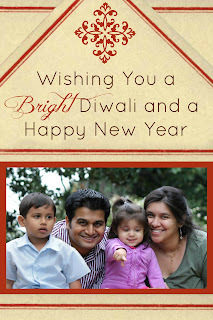 I always promise myself that next year I'll send out cards for Diwali. Of course next year rolls around and I forget all about it. This year I'm going to break that cycle! A few weeks ago, a friend of ours sent an adorable Halloween card, and I was reminded that Diwali was right around the corner. 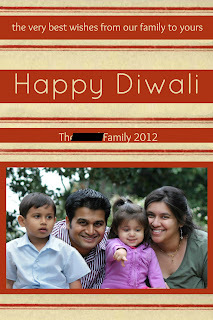 I found some fabulous modern Diwali cards at Minted.com; but my heart just sank when I saw the prices. I still wanted to do photo cards, so what's a girl to do? Make them handmade, of course! I (well, my husband and I) put these two cards together for our family, and in the spirit of the season, I'd like to share them with you. These can be printed, or simply make one up and email to your family. Click on through for the free printables & tutorial! 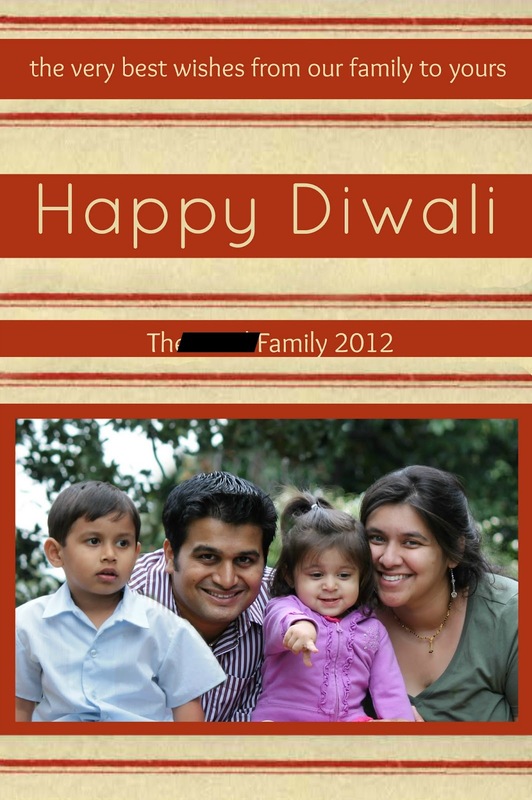 You can use PicMonkey (a *free* photo editing program) to put your family picture in the card, and then print them out at your local supermarket. The photo printer gave us the envelopes for free, so the finished price was about $15 dollars for 50 prints instead of $150; which made it much more affordable. We are huge Longhorn fans, so there is always a lot of burnt orange around here. First, find a photo that you like and crop it to 3x5 using your favorite photo editor, or www.picmonkey.com. Save the file to your computer. 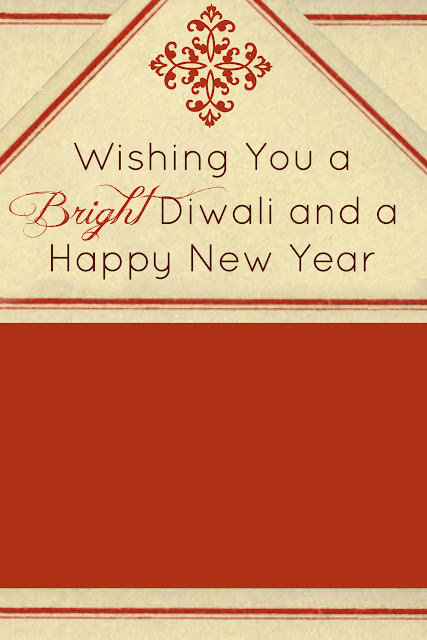 Then download one of the following Diwali Card Templates by right clicking and saving to your computer. You'll need to find both files later. 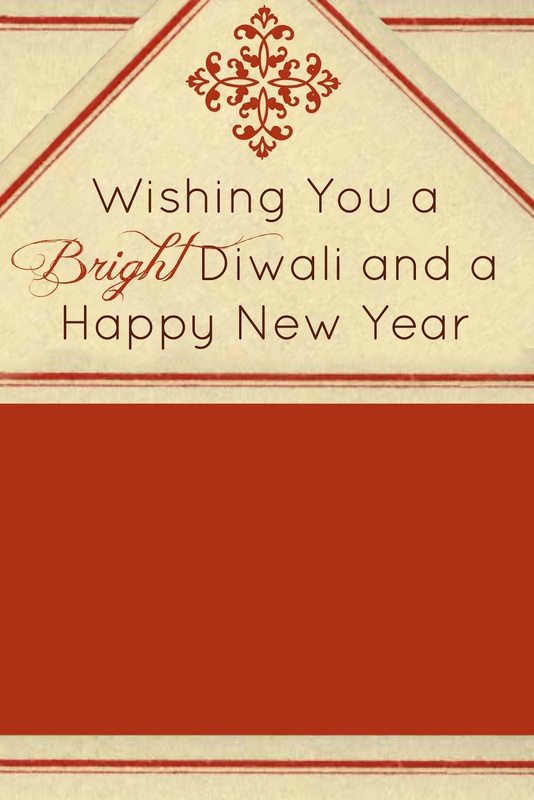 I've included one template without text so you can add your own message. To add your photo, click the 'shapes' button on the left most menu, and then 'Your Own' in the upper left corner. You may get a pop up window reminding you that PicMonkey is free a limited time only. Just hit ok to continue. From there, select the file of your 3x5 picture. 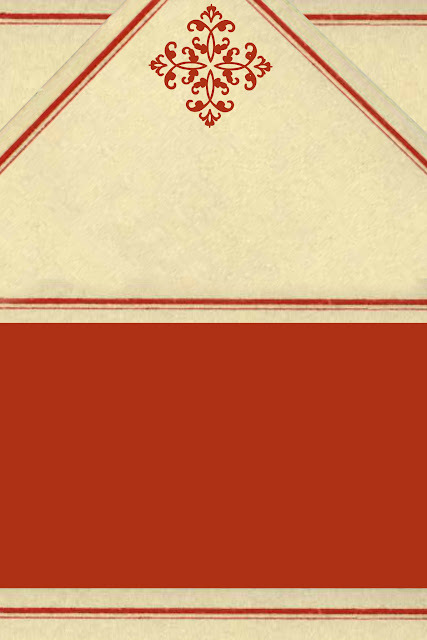 Drag your picture so it's centered in the bottom orange box. If you'd like to add text click the "P" button to bring up the text menu. Once everything is how you like it, save the image to your desktop or thumbdrive. These print in a 4x6 size, which keeps print costs down. We'll be sending these as is. If you'd like to include a note you might be able to request a matte print so you can write on the back, or you can slip these into a store bought note card. 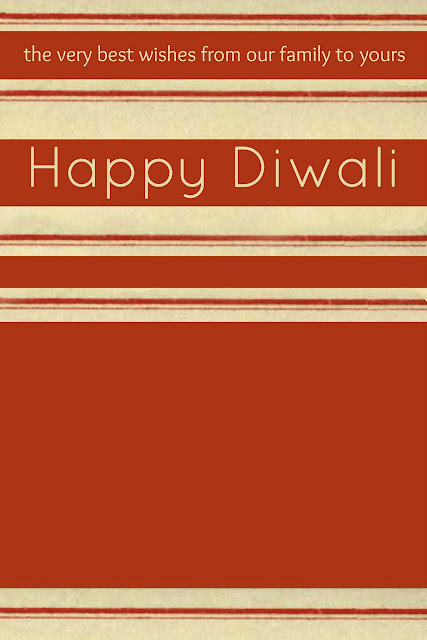 Diwali is on the 13th of November, so you have a few days to send them off, and feel great about keeping in touch with family. It finally feels like the holiday season has arrived!